It’s always fun to stop into Minamoto Kitchoan sweets shop before a gig. Trying out new things is just one way to help get us into the exploration mode that always leads to good jazz. There’s nothing like good food to fuel a good performance. For the past 5 years, Gold Standard has performed for OC Tanner's holiday celebration. Each year the celebration includes an elaborate fashion show with a different theme. And, this year they truly outdid themselves! For this year's French-themed event, models in traditional french gowns descended an elaborate spiral staircase set to the music of a soprano from the local opera. It was as if we were all French aristocracy attending a royal ball. It was good to see friends again, some of whom we see each year at the event, and a pleasure to make new ones we hope to see in the years to come. At the Deer Valley resort in beautiful Park City over the weekend, Gold Standard brought their signature sound and style to an Olympic party, featuring the Flying Ace All-Stars. Instead of her normal white dress, Chloe donned a theme-appropriate gold dress, while the rest of the band brought a sparkle and shine all their own to this spirited event. 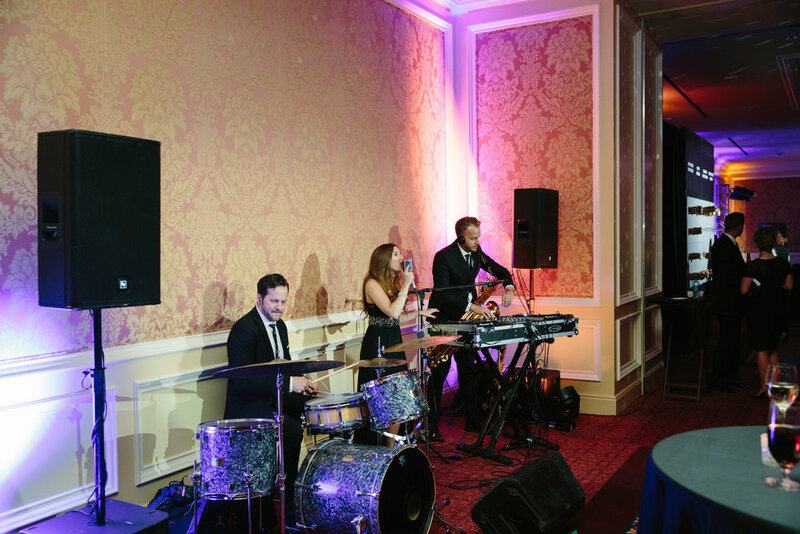 Despite a brief altitude adjustment, even at 12,000 feet Gold Standard proved to be consummate professionals, delivering a stellar performance at this Breckenridge wedding. Only the bride was more breathtaking than the views from this mountain resort where the band serenaded guests late into the starlit night. Rob's groups have been performing for the Entrepreneur of the year awards each year for the past decade, and this year Gold Standard had a blast at both the Salt Lake City and San Francisco EOY Award events. Here's a little recap from the SLC awards at the Grand America Hotel! 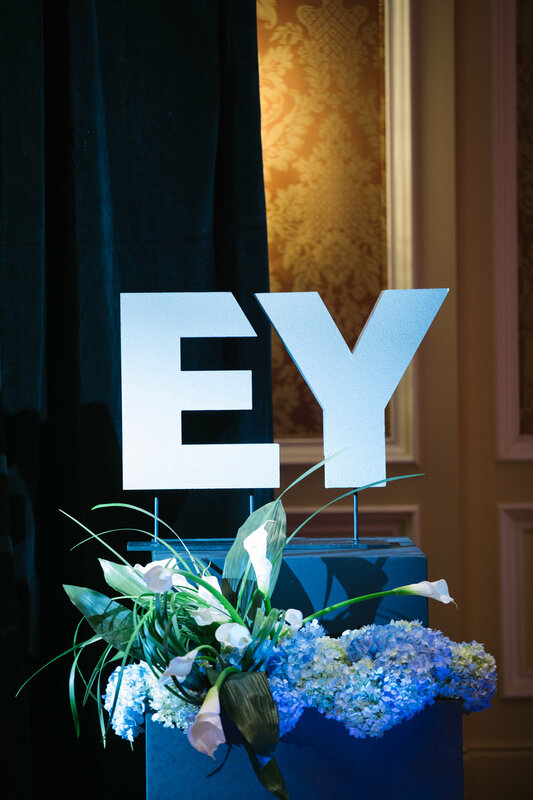 Exotic lobster rolls, the iconic Fairmont Hotel and the San Francisco Ernst & Young Entrepreneur of the Year Awards Show - it doesn’t get much classier than that. Gold Standard spent the day enjoying the finer things of San Francisco, and spent the night honoring some of the countries most forward-thinking entrepreneurs. Gold Standard celebrated Cinco de Mayo in style by performing for a beautiful poolside wedding. 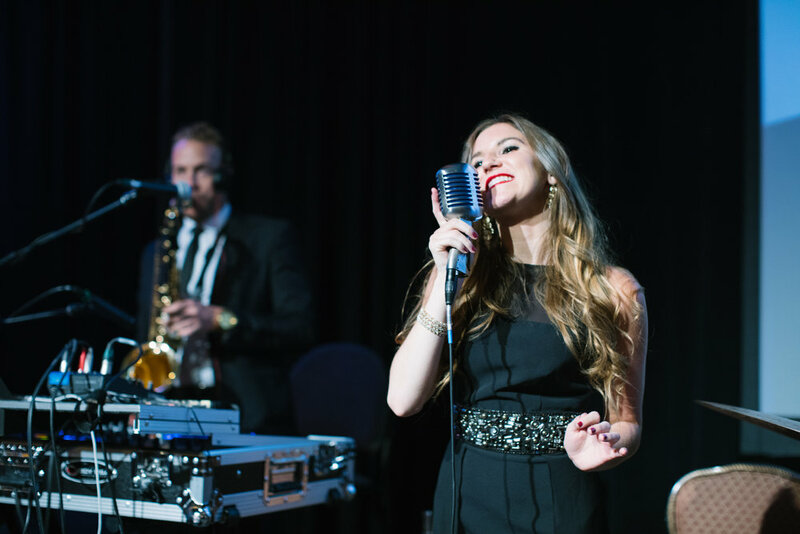 To mark the occasion, the band infused many popular hits of yesterday and today with a subtle Latin vibe, helping to personalize this Cinco de Mayo wedding. And, as a special treat, the band closed out the night dancing to a special Latin Remix Night at Maxwell’s with DJ Robot Dream. We had the opportunity to perform for an event hosted by Frank Abagnale who was portrayed by Leonardo DeCaprio in the film "Catch Me If You Can" based on his true story. We love Austin and hope to be back again soon! We were filmed recently performing at Maxwell's in downtoan Salt Lake City. We performed "Suit & Tie", "Havana", and "Marry You". Thanks for watching! Vlog 7: New Orleans NYE, Sundance Film Festival, and a new addition to the band! We had a great time in New Orleans, and at the Sundance Film Festival! Check out a few of our recent adventures and watch our latest addition to the band Chloe perform in our latest vlog! We had a blast at Silicon Slopes 2018! We often travel between Salt Lake City and San Francisco so have performed for various tech functions in the bay area but were very excited to be invited to provide entertainment for the Salt Lake City Silicon Slopes Tech Summit 2018. Here are a few moments from our performances. You might notice a new voice in the mix! That's the amazing Chloe who will be performing with us on many upcoming events. I'll let her performance speak for itself . . . Happy Holidays from Gold Standard, here's our holiday Vlog! Happy Halloween From Gold Standard Music! Here are some outtakes to lighten your mood . . . .
Vlog #5: Conn's Birthday, a solar Eclipse, and other life-changing events! Amangani Jackson Hole was the perfect setting for watching the Solar Eclipse. We performed there for their eclipse party the night before then were able to soak in the event in their hot tub and spa. Also this past month we celebrated Conn's Birthday, check out some footage from his roller-skating party, and other general silliness we had to share! Join us on some of our recent adventures around the country! Our latest vlog post! Join us on adventures in Breckenridge, Park City, and San Francisco. DJ plus Drums Live Energy!!! Join us on some of our recent adventures! Puppies, Mariachi, and Erlich Bachman! We thought you could use some 360° rescue puppy play time . . . about 10 minutes worth! As you can see, we really enjoyed spending time with these 9 chihuahua puppies rescued from California at the Utah Humane Society. We are also able to take a tour of the facilities and learn about the many amazing rescue dogs, cats, birds, and other animals for whom the Humane Society is a temporary home.